First of all these programs make it a breeze for me to edit, play back, print and hear music sheets. I can save these files and experiment with them as much as I like. You can save these files in mp3 format and copy it to an mp3 player. Isn’t that a more convenient way to assess your work and check which elements need working on? Another benefit with songwriting software is they make editing so easy. My program allows me to adjust pitches by drag and drop and transposing keys. You can also type chords and its corresponding fret shows up. You can also use these programs to generate different drum grooves. Today’s songwriting software come with many features, but the most important are the following, for me at least. • It must have the ability to print sheet music and create it. • The software must allow you to share music easily and save your music in mp3 format. • The software should allow you to experiment with melodies. The ability to add multiple verses and import and export abilities are also necessary. 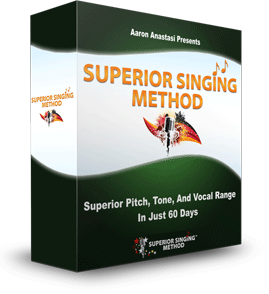 • I also like songwriting software that lets me arrange my song in different ways and use different tempo. Music software is not limited to just songwriting. I’ve done a lot of research on the subject and there are many out there. These include educational music applications which teach how to play instruments. There are also digital recording software, digital editing, computer synthesizers, and media players and so on. But if you’re just starting out and want to focus on songwriting software, then just look for one with the features I mentioned earlier. Also, the program should make it easy to write music as if you are using a word processor. A songwriting program that makes it easy to prepare and edit a song with the right notions is also essential. Some of these applications even allow you to create orchestras, and even if you don’t create on that scale yet, having this capacity may come in handy. Many of them also have OCR for scanning scores. But if you are going to record your music, then you’ll need more than a simple songwriting application but must also have the ability to record your composition. If you’re into music editing besides songwriting, then editing software will be necessary. These applications have a lot of features such as fade in, fade out, mixing, adding special effects, and more. You can splice sections from different songs and cut and paste. This isn’t for everyone though, so if you’re just into writing songs, you don’t need this. 1. Don’t scrimp – if you want to write songs for a living and will be using computer software, and then get the best program you can afford. 2. The software must be easy to use – Look for songwriting computer applications that are easy to use. All the power in the world will be useless if you cannot comprehend it. 3. Read reviews online – Shopping for songwriting software is no different from buying other items online. Read reviews to see which ones people like and those that they don’t. 4. Check different stores – Don’t just look in the official website. It might be cheaper in other stores so have a look around. 5. Don’t be afraid of technology – Technology can work wonders for your songwriting. 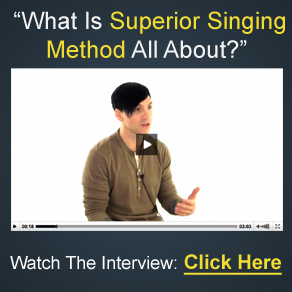 It takes some getting used to but if you go online you will see a lot of professional songwriters who have been using these programs for years and benefited. If you have been writing songs in the past without using computer software, it’s understandable why you may be hesitant to use songwriting software. But really the amount of time you put in to research them will pay off. Can you tell me the name of songwriting software for make a song that you have. Like you said it is very important that is easy to use,and every software that I tried to use it is very complicated or it requires the chourse.